Born: April 25, 1899 in Bourne Ma. 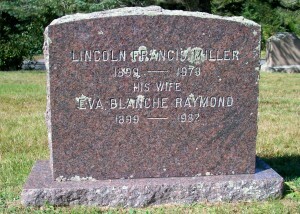 Died: September 1982 in North Falmouth Ma. 1. 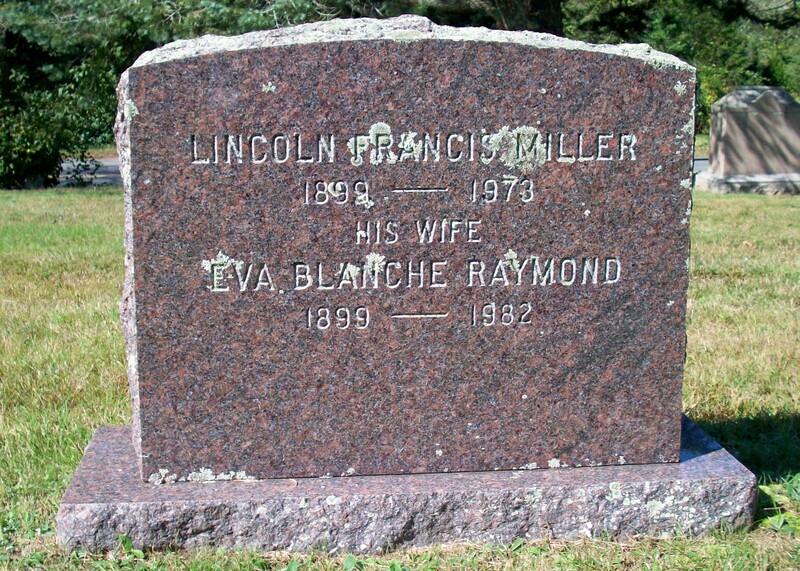 Lincoln Francis Miller, Jr.; (August 25, 1929 – July 20, 1987); Lincoln, Jr. is buried in Massachusetts National Cemetery in Bourne Ma..
2. Laurence K. Miller; (February 25, 1931 – ? ); Married Shirley B. Silverstone (Carl V. Silverstone & Alexandra N. Kay) in South Royalton Vt. on January 16, 1958.